The Canadian Pacific Railway started in the mid-nineteenth Century as a dream: a ribbon of steel that would stretch across the North American continent, through thousands of miles of sparsely inhabited wilderness and then, through three mountain ranges to reach a remote colonial outpost on the Pacific coast. In 1870, a rail link from sea to sea was what was needed to make Canada a viable nation. An American link to the Pacific had just been completed in 1869, connecting Sacramento, California, with Omaha, Nebraska, and ultimately the eastern seaboard via multiple railroads. 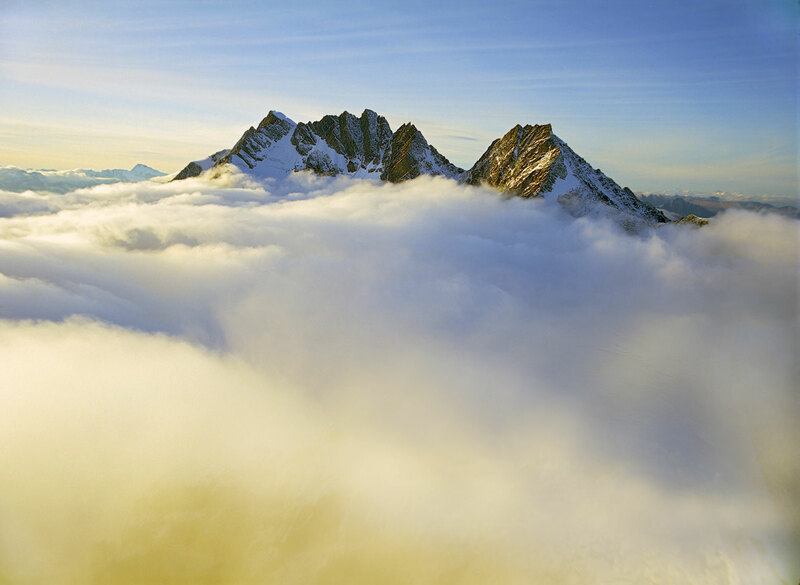 The Canadian venture, hundreds of miles to the north would be a different sort of undertaking, a single sea-to-sea line traversing over 4,600 kilometers (over 2,850 miles) and a mountain landscape so rugged and impenetrable few adventurers had ever crossed it on foot. In 1871, the government of the fledgling dominion made a pledge to distant communities: join us in Confederation and we will build a railway to your doorstep. There were no adequate maps of the intervening space or the mountains that awaited them and the Prime Minister of the Dominion had never even traveled the vast wild land in question. Many said the railway could never be built and that it would be foolish to try. Across the continent the obstacles were daunting: the Precambrian Shield featured 700 miles of granite, impenetrable boreal forest and uncountable lakes. The shield was followed by 300 miles of muskeg (machinery-swallowing bogs) and a windswept desert of grass 800 miles wide. Finally, to reach the Pacific’s ragged and little-explored coastline, the builders would need to penetrate the ultimate barrier: a range of mountains rising 8,000 feet above sea level. And beyond it another range. And beyond that, another still. The Rockies, the Selkirk and the Monashee mountains: four hundred miles of rocky, snow-peaked chaos punctuated by deep chasms and roaring river gorges—some of the most stunning and unforgiving territory a railway surveyor ever set eyes upon. It was engineering insanity. The railway would be built simultaneously from the east and from the west beginning in 1880—the converging lines were to meet in the mountains. By 1883, a vast investment had brought the railway and perhaps the Dominion itself to the brink of bankruptcy. Yet as the railhead and work crews pushed to the foot of the Rockies, there was still no real evidence of a practical way through. 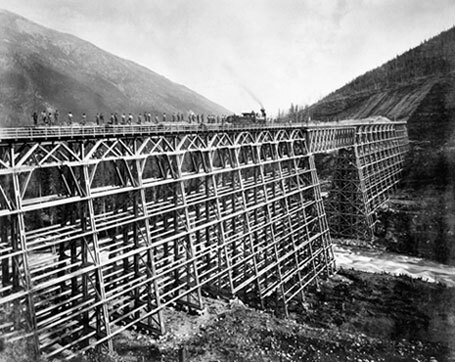 Tens of thousands from around the world labored to construct the Canadian Pacific Railway. It was an effort that engaged British investors, Canadian government financing, American engineering know-how and tens of thousands of laborers from across North America, from China and around the world. They came for work and for land and inevitably they got adventure. Evidence of their remarkable feats is carved deep into the rock and woven into every bend and bridge. The place names carry their stories, preoccupations and identities: Jaws of Death, Hell’s Gate, Rogers Pass… Many stayed and made this harsh, unforgiving land their home. Many others lie buried beside the track where they fell—killed in explosions, crushed by rock falls or smothered by avalanches. Almost every mile of track claimed its share of human life. The Last Spike. 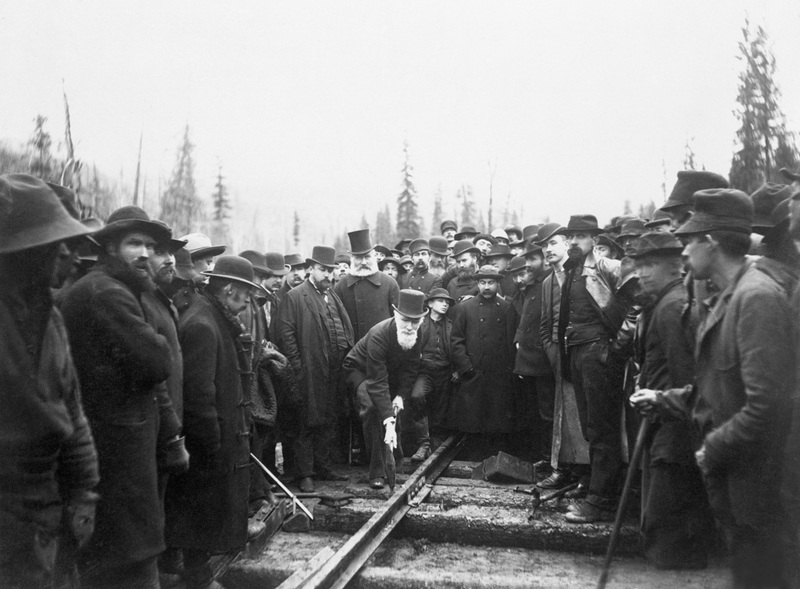 The hammering of the Last Spike on Nov 7, 1885 deep in the mountains at Craigellachie, B.C., signaled the completion of the railway. The line was a triumph uniting far-flung communities into a single dominion, sea to sea. The track strung together some 800 communities along its transcontinental length—many of which had emerged to service its needs and exploit its potential. While the railway would struggle to keep the route operating through the difficult high mountain passes, the rail link would endure and with it, a growing young nation. Many said the railway could never be built and that it would be foolish to try.